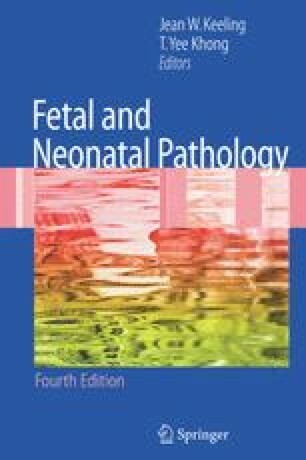 Gastrointestinal abnormality is common in both the fetus and the neonate. Gastrointestinal malformations are diagnosed in fetal life with increasing frequency, enabling delivery in units with appropriate facilities. Gastrointestinal malformations, both isolated and syndromatic, are encountered at necropsy, although only a small proportion are, in themselves, fatal. Malformations and post-natally acquired disease contribute to neonatal morbidity and mortality, comprising most of the specimens received from neonatal surgical units. An understanding of gastrointestinal development, the range of pathological abnormalities, their associations, and their signifi cance makes an important contribution to clinical management of the affected individual and family.